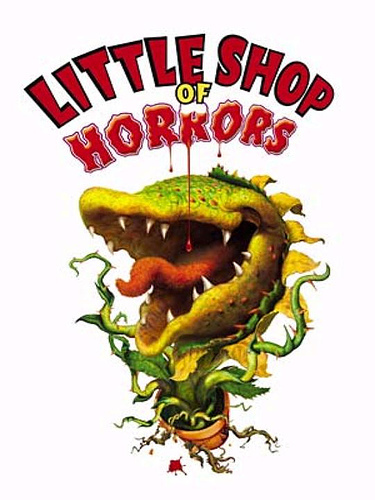 Let me go on record right now as proclaiming Little Shop Of Horrors itself as one of my favourite musicals… ever! I first saw this production when it was in the Duke Of Yorks theatre in the West End of London back in 2007, when it opened to critical acclaim and commercial success following transfer from the Menier Chocolate Factory. Every few weeks, it was up-scaled to a larger theatre – it went through three in total – The Menier Chocolate Factory, Duke Of Yorks and The Ambassadors – over it’s year in the West End. I thought that it was absolutely exquisite on stage and had story elements to it that are very different (and at times far superior!) to the movie musical that was produced in 1986. A random fact for you; ‘Skid Row (Downtown)’ is the only song I’ve ever done at a public karaoke (at Halfway II Heaven in the West End… it’s oft theatrical song based stuff!). I’ve done it once, and that’s my lot I think heh! Although what I saw in Woking last night was what I’d term a ‘west end on wheels’, I’m afraid to report that the quality of it had deteriorated quite a lot. It may just be that I’m not used to seeing touring theatre again (since moving to London nearly two years ago, I’ve not re-encountered it! ), however something that was there in the West End simply wasn’t there last night. When I saw the show in the West End, we had Sheridan Smith and Alistair McGowan in it, who both performed well as Audrey and the Dentist respectively. Last night we had Clare Buckfield and Alex Ferns (nasty Trevor from Eastenders). I thought that Buckfield had a good voice for the role, and that it was great to see Fearns’ depiction of his many varying characters. However no one actor/character stood out for me as being a good all-rounder, despite most of them being well known on the UK touring circuit. Silvester McCoy (yes, he of Doctor Who fame) plays Mushnik and whilst great to see him, it was clear that singing wasn’t his strong point, bless him. 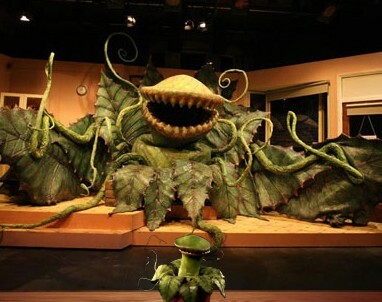 The chap playing Seymour (Damian Humbley) was competent, but didn’t excel in the role in my opinion. If I had to recommend or slate it, I would say that it is still definitely worth going to see regardless of my thoughts (it’s one of those shows that if you don’t go and see it whilst you have the chance, it could be years before you get chance to again!). If you have chance to go, then I’d suggest that you go and see it and make up your own mind on it. The people behind me had been a few times this week and were raving about it (much as I had when it’d been in the West End), however Greg and I just didn’t get that spark and the tingles; in the West End I was nearly in tears! For me, the charm had been sapped right out of it. The audience weren’t particularly responsive, and most of the jokes fell embarrassingly flat. Oh, and despite being brave, I really wouldn’t recommend going to see it if you’re in the middle of a root canal treatment, as I was hehe!